Good cushion. Does not smash so easily. Seems to hold up. I have lower back and leg trouble and this cushion really does help. It moves easily to where it is needed. 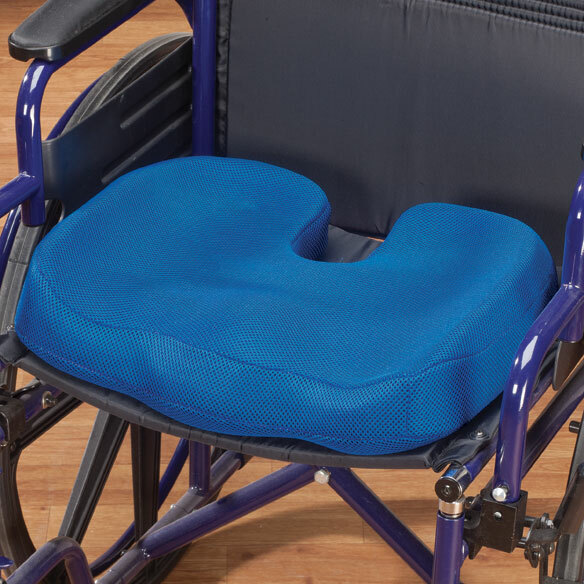 I love this support cushion!! I love it so much, this is the 2nd one I got! I have one in the car & the other one in my chair in my bedroom. They make a big difference!! This product is exactly what I hoped it would be. The pressure on by spine is relieved and now when I stand my back pain is relieved. Whis it had its own carrying bag since I used it in my car and in the house. Will have to think of something to put it in. But I absolutely love this pillow and hope it stands up to the wear and tear it will go through. I would buy this cushion again. 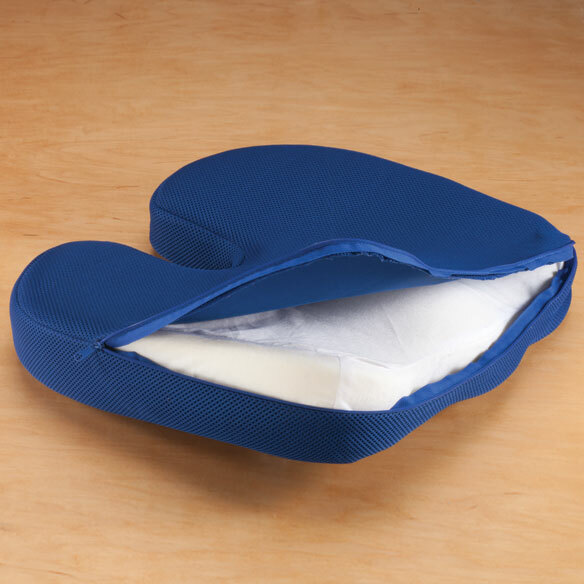 I bought this cushion because of pain in the coccyx area...using it on my most used chair really helped. When the coccyx pain finally subsided, I tried putting it on my car seat, since I'm a shortie, and the cushion I was using to give me a little more height wasn't satisfactory. This cushion is great for that purpose! I bought this mostly for long drives. It is good, but the foam fill could be a bit stiffer; it crushes down more than it should when sat upon. My husband chose this one because of the cover. Exactly what I needed for my automobile seat to give me the extra height that I needed. I have one and my sister wants one for her birthday. Looks like it would solve a problem. On computer a lot. Needed some cushion support. But found 3" cushion is too high for me. Not using. 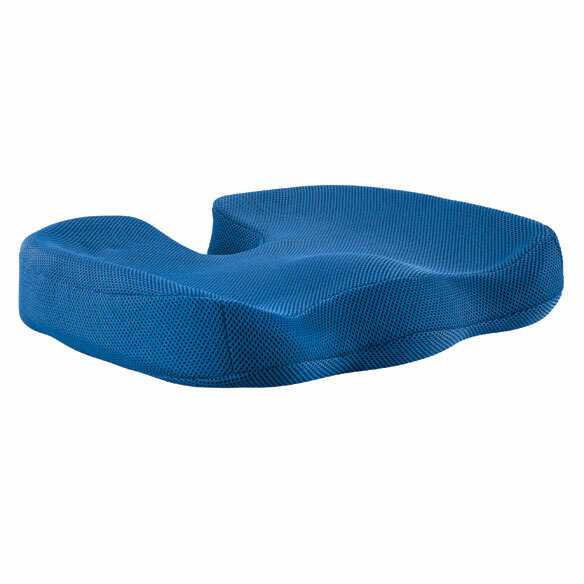 Relieve tailbone soreness from sitting in unpadded wheelchair . I ordered one before and it works great for my husband. We have told others about it and they ordered the same pillow and love it too. Thanks. Hope to make sitting on the recliner more comfortable. Because I already have one and it is super comfortable. Most of my purchases are for my daughter, as is this item. She has mobility problems, back & leg problems, so she needs the cushion. Mom sits a lot. Hope this will help her be more comfortable. I am in a wheelchair and it gets very tired sitting all day and I need some pressure relieved. The description was exactly what I'm looking for also the comments , reviews were helpful. It looked like it would help with my husbands bed sore he has on his back side. Suffer from Sciatic nerve pain. Begins at tailbone. Cannot sit for long periods of time although I have other cushions. I read that memory foam is recommended. My husband has had back surgery and needs something to help with back pain... I hope that this will help.!!! 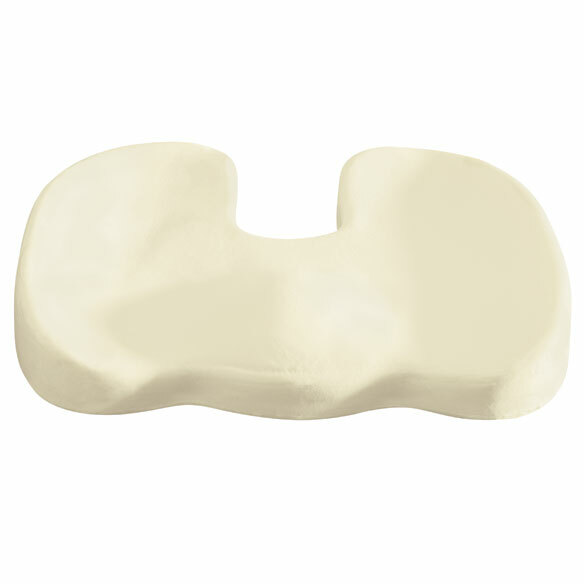 How many pounds will the Memory Foam Coccyx Cushion hold ? BEST ANSWER: Thank you for your question. This item has a 200 pound weight limit. We hope this information will be of help to you. which one is the best for the car? BEST ANSWER: I bought this for the car and it is very comfortable. It raises me enough so I can see well. It is very comfortable--I don't need the cutout but who knows? I may in the future. It is easy to clean. serious coccyx pain that i can't sit with. ive tried other cushions that didn't work. if it doesn't work for me is there a money back guarantee? BEST ANSWER: Thank you for your question. We do have a 45 day return policy from when an items ships. We hope this information will be of help to you.